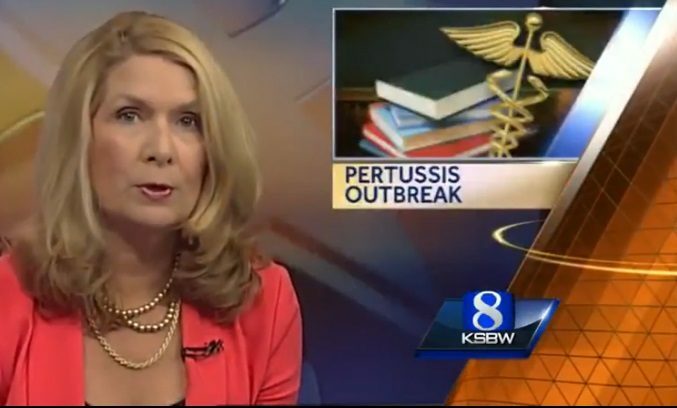 News continues to spread regarding the fact that the current pertussis vaccine is ineffective. Health Impact News first reported on this in 2013 after several studies, including studies the FDA and CDC participated in, confirmed that the vaccine was no longer effective. Earlier this year a school in Salinas California reported a whooping cough outbreak among students who were fully vaccinated. And yet, the U.S. mainstream media keeps blaming unvaccinated children for these whooping cough epidemics, and keeps on encouraging everyone to get the failed vaccine. ABC in Australia, however, is publishing the truth after a new study was published this month where researchers claimed the failed pertussis vaccine is to blame for recent whooping cough outbreaks, and not unvaccinated children. This is what has been happening ALL THROUGHOUT VACCINE HISTORY. All infectious diseases declined before vaccination--90% conservatively estimated, then vaccines began and ALWAYS diseases increased. AND there have been a rising of chronic degenerative disorders never before known. Go figure.